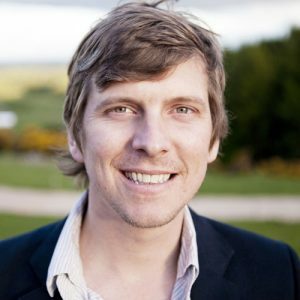 Matt Stinchcomb is Executive Director at the Good Work Institute, a nonprofit organization whose primary focus is on cultivating communities of local change makers living and working in and around the Hudson Valley. Their programs support these leaders as they develop and implement projects that aim to have net-positive benefit in the region and beyond. Before heading up the Good Work Institute, Stinchcomb was the VP of Values and Impact at Etsy.com. In that role he oversaw the stewardship of the company’s mission, and worked to give all employees the means and the desire to maximize the benefit their work has on people and the planet. In 2013, he was named a GOOD Magazine ‘Figure of Progress’. The next year he was named as one of the Purpose Economy 100. Stinchcomb serves on the Board of Directors for the Schumacher Center for a New Economics, Hawthorne Valley, and Naropa University. He is a graduate of Oberlin College and lives in Rhinebeck, NY with his wife and children. Contact Matt Stinchcomb for speaking terms and dates.